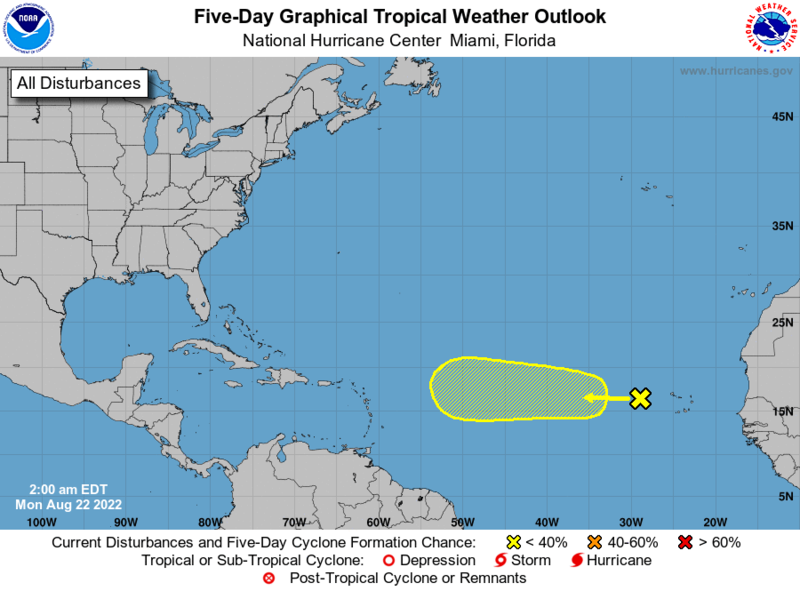 NOAA Satellite Images Atlantic Wide Visible Atlantic Wide IR AVN Atlantic Wide IR Shortwave Atlantic Wide IR RGB Atlantic Wide IR Funktop Atlantic Wide IR Rainbow Atlantic Wide Water Vapor Western Atlantic Visible Western Atlantic IR AVN Western Atlantic IR Shortwave Western Atlantic IR RGB Western Atlantic IR Funktop Western Atlantic IR Rainbow Western Atlantic Water Vapor Central Atlantic Visible Central Atlantic IR AVN Central Atlantic IR Shortwave Central Atlantic IR RGB Central Atlantic IR Funktop Central Atlantic IR Rainbow Central Atlantic Water Vapor Caribbean Visible Caribbean IR AVN Caribbean IR Shortwave Caribbean IR RGB Caribbean IR Funktop Caribbean IR Rainbow Caribbean Water Vapor Gulf of Mexico Visible Gulf of Mexico IR AVN Gulf of Mexico IR Shortwave Gulf of Mexico IR RGB Gulf of Mexico IR Funktop Gulf of Mexico IR Rainbow Gulf of Mexico Water Vapor Eastern U.S. Visible Eastern U.S. IR AVN Eastern U.S. IR Shortwave Eastern U.S. IR RGB Eastern U.S. IR Funktop Eastern U.S. IR Rainbow Eastern U.S. Water Vapor Northwest Atlantic Visible Northwest Atlantic IR AVN Northwest Atlantic IR Shortwave Northwest Atlantic IR RGB Northwest Atlantic IR Funktop Northwest Atlantic IR Rainbow Northwest Atlantic Water Vapor Atlantic Sea Surface Temps. 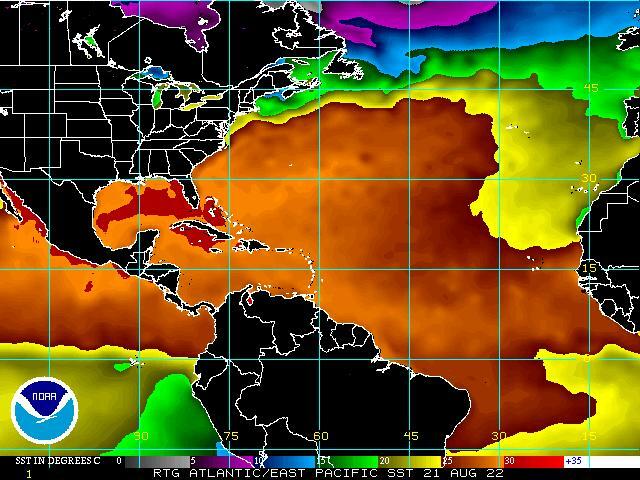 E Pacific Sea Surface Temps. Satellite Image Loops Atlantic Wide Visible Atlantic Wide IR AVN Atlantic Wide IR Shortwave Atlantic Wide IR RGB Atlantic Wide IR Funktop Atlantic Wide IR Rainbow Atlantic Wide Water Vapor Western Atlantic Visible Western Atlantic IR AVN Western Atlantic IR Shortwave Western Atlantic IR RGB Western Atlantic IR Funktop Western Atlantic IR Rainbow Western Atlantic Water Vapor Central Atlantic Visible Central Atlantic IR AVN Central Atlantic IR Shortwave Central Atlantic IR RGB Central Atlantic IR Funktop Central Atlantic IR Rainbow Central Atlantic Water Vapor Caribbean Visible Caribbean IR AVN Caribbean IR Shortwave Caribbean IR RGB Caribbean IR Funktop Caribbean IR Rainbow Caribbean Water Vapor Gulf of Mexico Visible Gulf of Mexico IR AVN Gulf of Mexico IR Shortwave Gulf of Mexico IR RGB Gulf of Mexico IR Funktop Gulf of Mexico IR Rainbow Gulf of Mexico Water Vapor Eastern U.S. Visible Eastern U.S. IR AVN Eastern U.S. IR Shortwave Eastern U.S. IR RGB Eastern U.S. IR Funktop Eastern U.S. IR Rainbow Eastern U.S. Water Vapor Northwest Atlantic Visible Northwest Atlantic IR AVN Northwest Atlantic IR Shortwave Northwest Atlantic IR RGB Northwest Atlantic IR Funktop Northwest Atlantic IR Rainbow Northwest Atlantic Water Vapor Atlantic Sea Surface Temps. 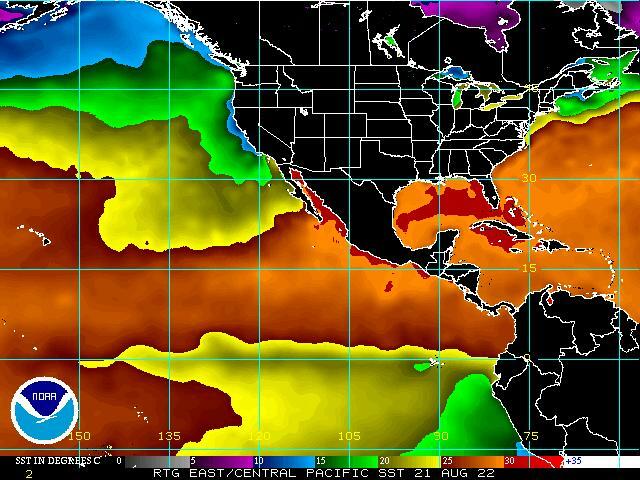 E Pacific Sea Surface Temps.